IOS App Developer: Truebill, Inc. When I first got Truebill it was all on a leap of faith and I’m glad I took it. 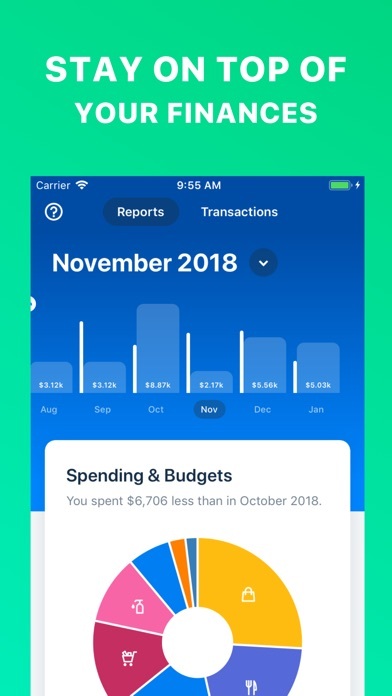 Truebill has helped me start a savings, and manage my money. I love love love loveeeee it. I love how they negotiate and help u save money! 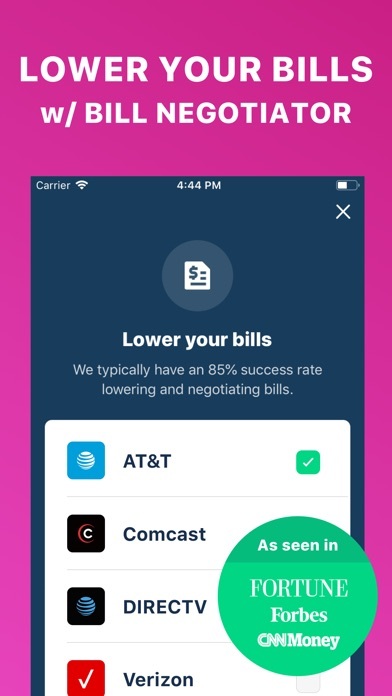 This app is 100% true in what it advertises. 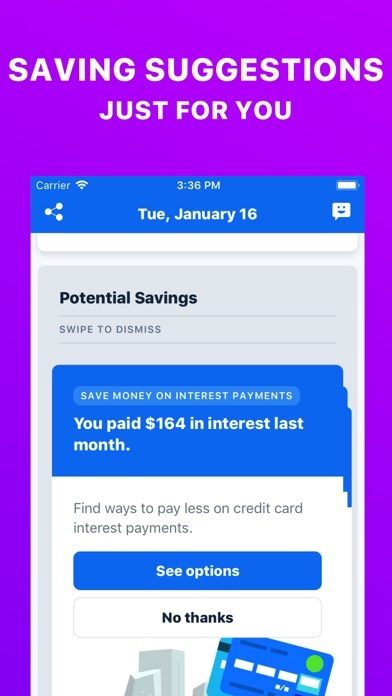 I am normally very skeptical about connecting my bank info to apps. This app is completely safe and very easy to use! 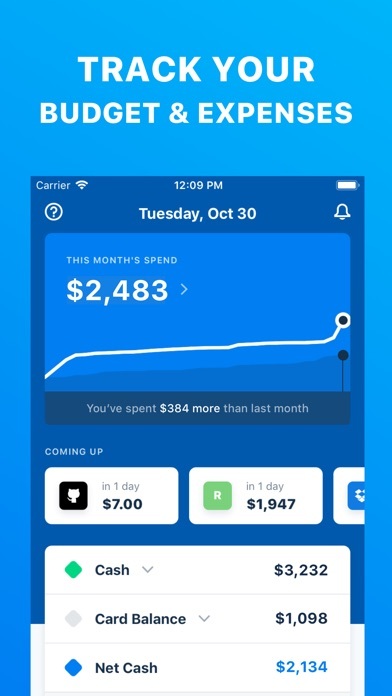 I have tried a lot of money management apps out there but this one is by far the most user friendly! They changed my ATT plan to unlimited without considering my usage. I had 65Gb with rollover and they changed me to “Unlimited” where I will be throttled down after 22Gb. Also they messed up my account information!!! For this they charged me for $182 without even discussing this with me!!! On my attempt to contact them and asking to call me they sent email referring terms and conditions that is actually stating that they are wrong! I would recommend to stay away from this app and to Apple to remove them from app store. 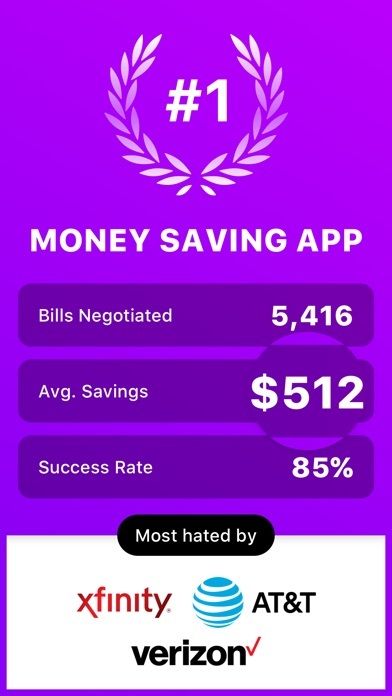 I really enjoy using this app because it provides a great snapshot of where your money is going and they work hard to lower you bills and cancelled subscriptions that you no longer want. It's a great way to stay on top of your finances. It's like having a financial secretary with you at all times. LOVE IT!! 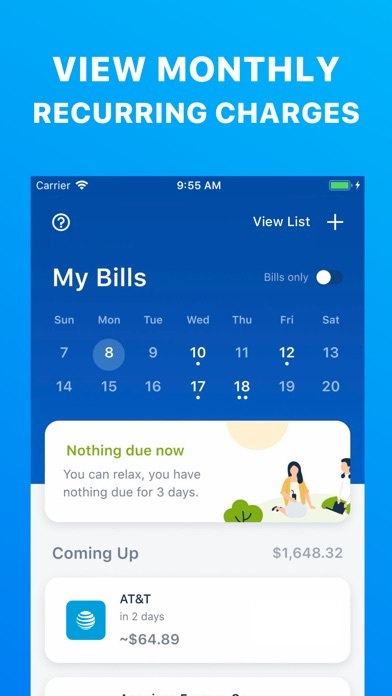 I like truebill bc it tracks my spending and savings for me and helps me to manage my money better. This app is one of the best. 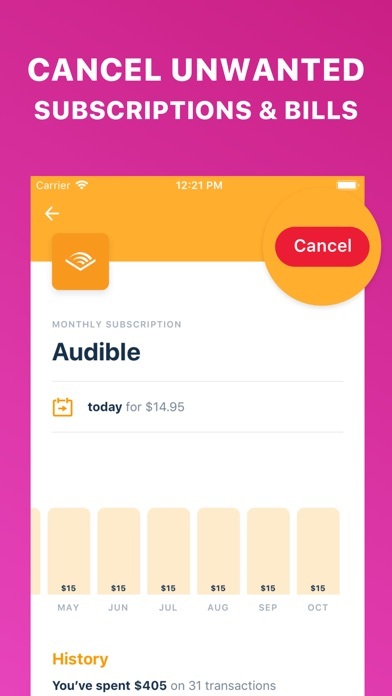 Automatically reminds you of bills that you have, if you have a subscription you forgot about; you can have the app auto cancel service for you. For about those magazines; cancel, not sure where that $15 is going monthly; cancel. So easy, a must have for all. More IOS Apps by Truebill, Inc.